Bats and their roosts are protected by law. It is illegal to kill or injure bats and to damage or obstruct access to a bat roost. Dreadnought Bat Tiles can form part of a mitigation package to allow access to existing roosts or potential roosts. This 5 piece set fits seamlessly on any roof with plain clay tiles to provide access for bats either behind the tiles or into the roof space. It provides a means for bats to crawl behind the tiles, and if an aperture is created in the underlay, to the roof space. The Dreadnought Bat Tile set has been developed to provide an aesthetically pleasing solution for roofs where bat access is required. 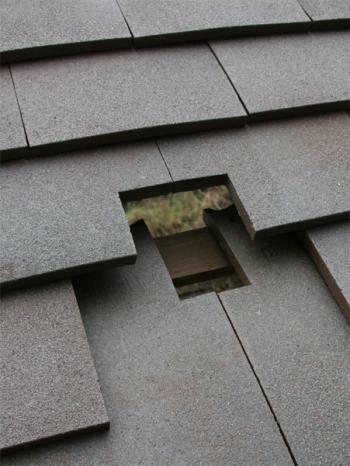 Access for bats behind the roof tiles is possible through the aperture created by the 5 piece set of roof access tiles. The tile set fits seamlessly together and integrates with the rest of the tiles on the roof in an aesthetically pleasing way. 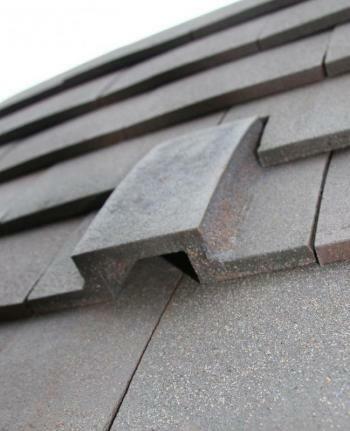 The five piece Bat Roof Access Tiles are available in the full range of Dreadnought Natural Clay colours from Red and Brindle colours to Staffordshire Blue. Where access to the roofspace is needed for bats, an aperture in the underlay may be required. 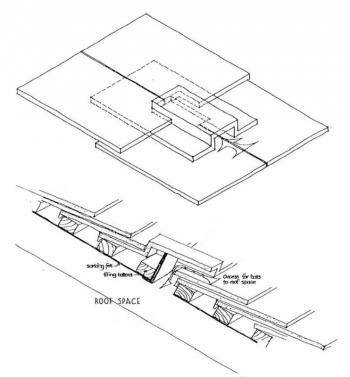 Offsetting this aperture to one side of the bat access tile and limiting the cut in the horizontal direction, as shown in the drawing opposite, will reduce any potential ingress of water. Bat tiles provide an access into the roof for bats. It should be understood that this will also enable insects and potentially rain to enter through the void created. The use of such bat tiles goes against normal practice on clay tile roofs which are primarily designed as a weatherproof barrier. For certain bat types it may be necessary to allow access into the roof space and this may involve cutting the felt or membrane, this should be done with great care as this creates the potential for water to enter the roof space which can cause damage. No responsibility can be accepted for the weather tightness of the roof or damage caused as a result of the use of bat tiles or for the potential entry under the tiles or into the roof of bats, insects or other creatures.